Eastern Shore Porch & Patio has a broad range of vinyl fence products, including privacy fencing, semi-private vinyl fencing, and picketed fencing with vinyl fence installation options for both residential and commercial properties. Every one of our vinyl fencing products comes with a lifetime guarantee and a full one year guarantee on installation workmanship combined with the knowledgeable customer service and sales staff that make Eastern Shore Porch & Patio different. Eastern Shore Porch & Patio’s ranch rail fencing is perfect for any property in need of a classic fencing solution, from a horse farm to a suburban single-family home. Our ranch rail fencing is available in two, three, or four rail styles. Ranch rail vinyl fence products are made with 1 ½” x 5 ½” rails and 5” x 5” posts for increased durability and longevity. 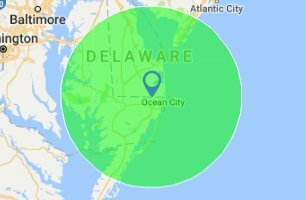 Eastern Shore Porch & Patio is proud to be the premier vinyl fence sales and vinyl fence installation company for the Wicomico County, Worcester County, Bethany Beach, and Delmarva areas. Heights:: 2 Rail Ranch: 36" 3 Rail Ranch: 48" 4 Rail Ranch: 54"